e help raise money through donations in exchange for our Music CDs and through Benefit Concerts. We have many exciting concerts going on year round. Please join us in helping to raise money to fight cancer. If we all band together, we can increase the tempo for cancer research and speed the discovery of a cure! We hope you will be able to join us this holiday season. Please read "The Story" and watch our Music Video to learn about the events that inspired this charity. We are an IRS registered 501c(3) non-profit corporation, A Christmas To Cure Cancer, Inc, from which we make donations earmarked for cancer research to a number of cancer research organizations across the country. Thanks to everyone who has helped us raise $1,407,783 so far and for the inspiring E-mails and Letters people send in. We sincerely appreciate your support. for event details. You can also to the cause. 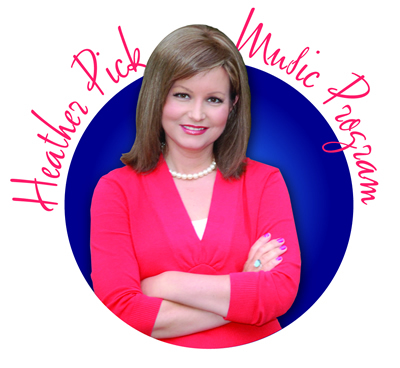 to make a donation to The Heather Pick Music Program Fund at The Ohio State University Comprehensive Cancer Center - Arthur G. James Cancer Hospital and Richard J. Solove Research Institute. 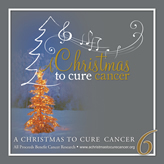 to make a donation through A Christmas To Cure Cancer. Please to donate in his memory. Travel Partners in Dublin presents the 12th Anniversary 2019 Buckeye Cruise for Cancer. Spend a weekend with legendary Buckeyes. It will unite Buckeye fans together in the tradition of team spirit to raise funds and awareness for breast cancer research, benefiting the Urban & Shelley Meyer Fund for Cancer Research and The Ohio State University Comprehensive Cancer Center - Arthur G. James Cancer Hospital and Richard J. Solove Research Institute. We invite you to enjoy this unique cruise experience from February 23 - February 28, 2019, in order to support a great cause. We hope you consider this to be an important and worthwhile endeavor and ask that you join us in the fight against breast cancer. Please check the website at www.buckeyecruise.com for all the details and book today. Tell them “A Christmas To Cure Cancer” sent you. CD for 2011 Holidays! 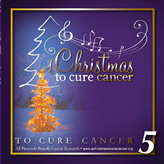 A Christmas To Cure Cancer 6 Double CD! New CD for 2010 Holidays! 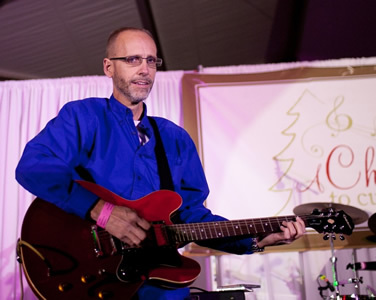 A Christmas To Cure Cancer 5! New Hot Pink Racers CD – "Live For A Cure"
to see images and video of the special times we shared with an amazing and incredibly strong individual and friend in Stefanie Spielman. Not many people knew she was a really good singer too. to listen to the Buckeye Cruise for Cancer CD. 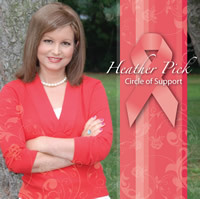 to read Heather's inspiring words from her CD release and pictures of her recording session as well as obtain a CD. 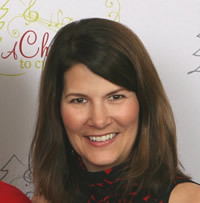 Click Here to read Stefanie Spielman's memories Heather. 6/9/07 Mark Puskarich awarded the Community Service Award by Otterbein College Alumni Association. 5/17/06 New studio finished and being used to record our 2006 release, 'A ChristmasTo Cure Cancer 3'. 1/25/06 See where your contributions are going.